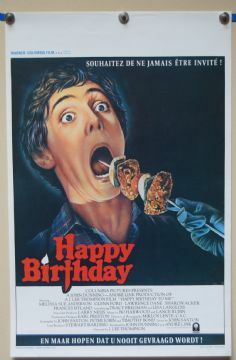 Happy Birthday to Me (Colombia Pictures Corporation,1981) Belgian Poster Size 14" x 21"
An under-rated slasher movie featuring Glenn Ford and Melissa Sue Anderson. The poster displays incredibly well. Excellent.